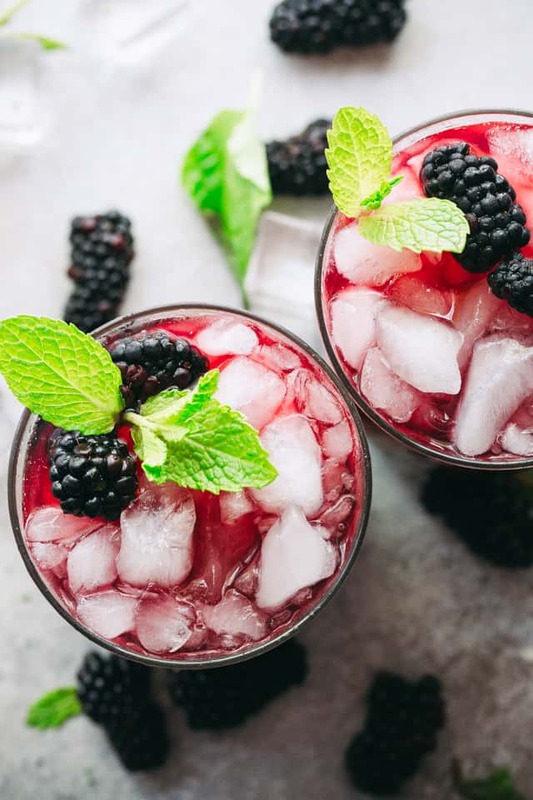 Blackberry Mint Julep – Sweet and fruity summer cocktail prepared with blackberries, mint, and bourbon. 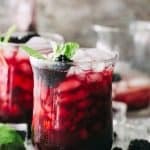 Perfect cocktail for your next get together or celebration! Raise your glass, it’s almost the weekend! …err. It’s only Wednesday…?? Whatever. It’s summer, every day is the weekend! Friends, today I am on my way to a looong vacay! Going back home to the motherland – Macedonia – and I am REALLY looking forward to it! It’s going to be a long 18-ish hour trip, considering layovers and such, so wish me lots of luck, please! If you have a minute, or, like, nothing more important to do, follow me on Instagram and my IG stories to see what I’m up to with the fam for the next few weeks. 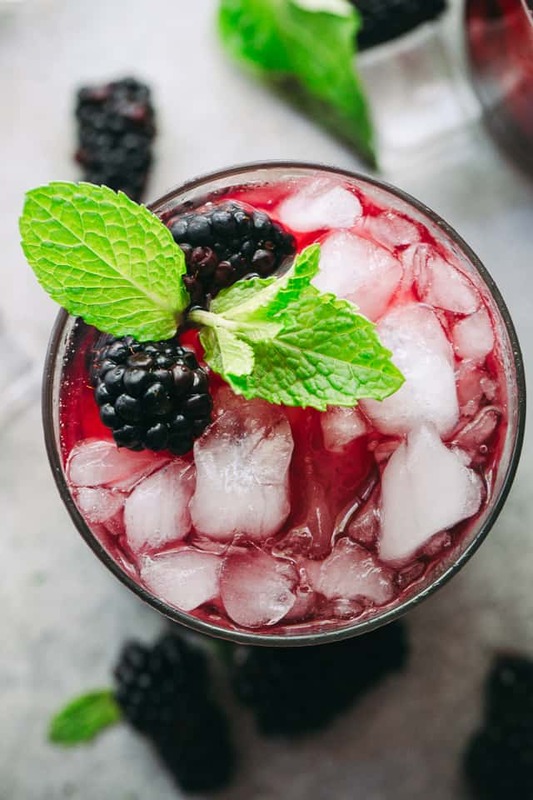 this Blackberry Mint Julep is summer on vacay in a glass. Truly. It’s sweet, refreshing, and after two sips, you’re stuck with a smile on your face all day long. OR, for as long as you keep going back for another round of drinks. 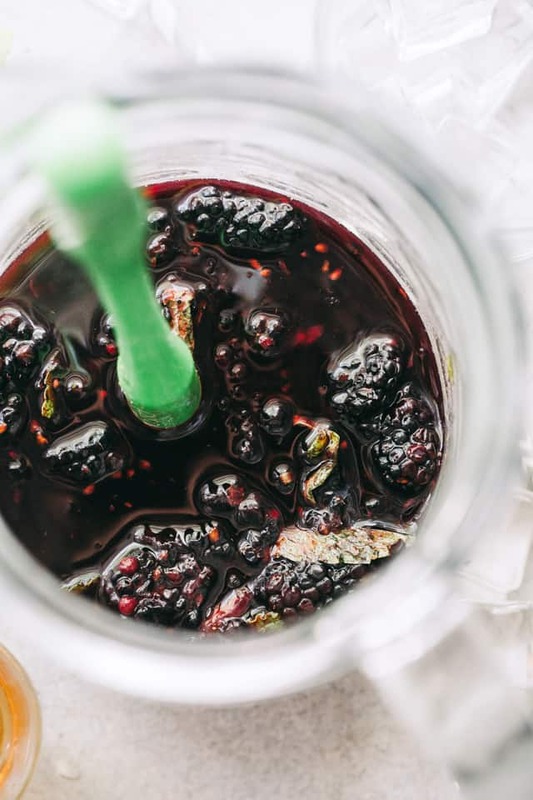 This flavor – blackberries + bourbon + mint – is everything I want to have forever. Wait until you see how easy this is. 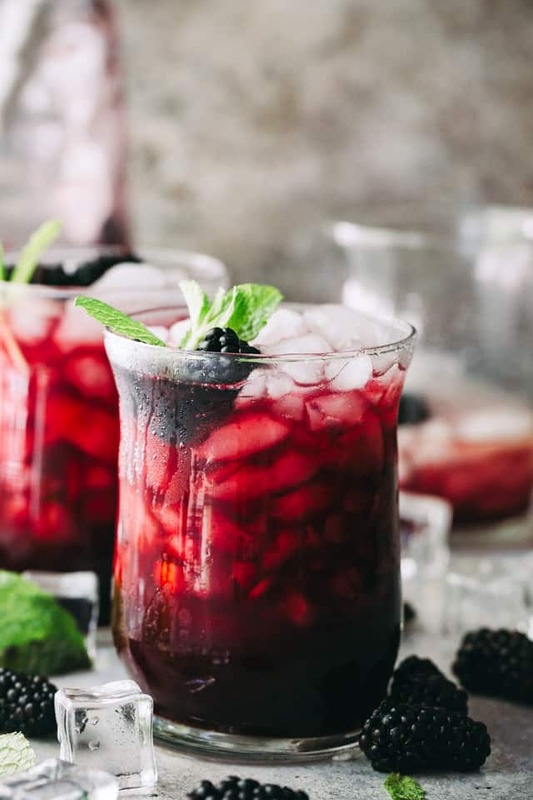 It just requires a leeeeettle bit of prep on your part, in the form of combining blackberries, mint, sugar, and bourbon in a pitcher or bowl, and muddling it all together until sweet and juicy. They are just so good! I’m currently sitting here muddling it all together, again, and I will never get over the beauty of GOOD blackberries with mint. Plus bourbon. You know what I mean? Let’s be real, though. We could probably have these at any point in time over the year, but summer just makes them a wee bit more special. ALSO! These remind me of my Strawberry Pom Mojitos! I know, totally different flavors and liquor, but they just. I just. I just love them so.freaking.much! Craving one of those like WHOA at the moment because they are awesome! But this Blackberry Mint Julep feels super fancy and summery, and that is just the way I like it. I hope you’ll love it, too! 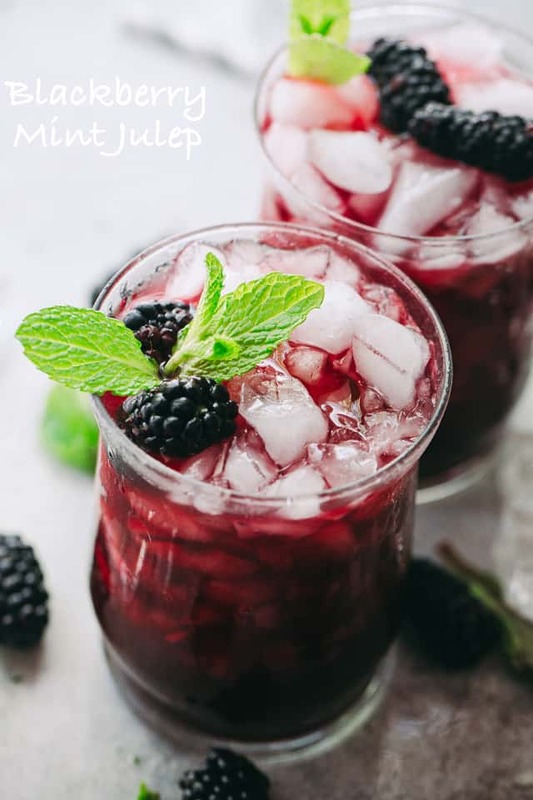 Blackberry Mint Julep - Sweet and fruity summer cocktail prepared with blackberries, mint, and bourbon. 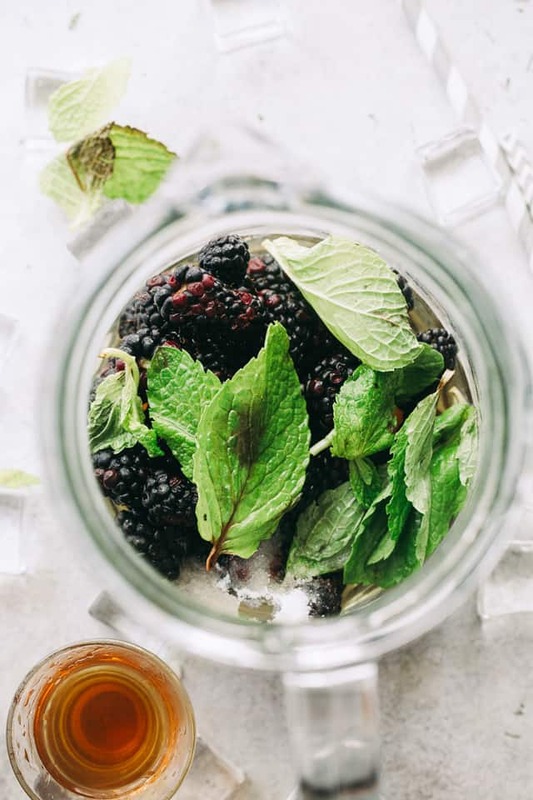 Combine blackberries, mint leaves, and sugar in a small pitcher or bowl; muddle or mash the ingredients together until juicy. Strain the mixture through a sieve into a bowl, pressing against the solids with a rubber spatula; discard the seeds. Fill 4 rocks-glasses all the way up with crushed ice. Divide the blackberries mixture evenly between all the glasses. wonderful twist, love blackberries already so I’m in! Mint, bourbon, of course that’s even better, thank you for this, hopefully the flight was as smooth as possible!